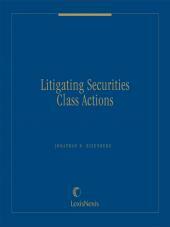 Litigating Securities Class Actions is a timely treatise which focuses on several of the most critical issues that frequently arise in securities class action litigation. 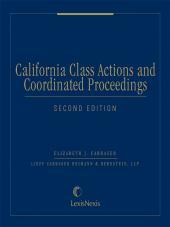 It gathers perspectives of leading practitioners on the most important stages of securities class actions. 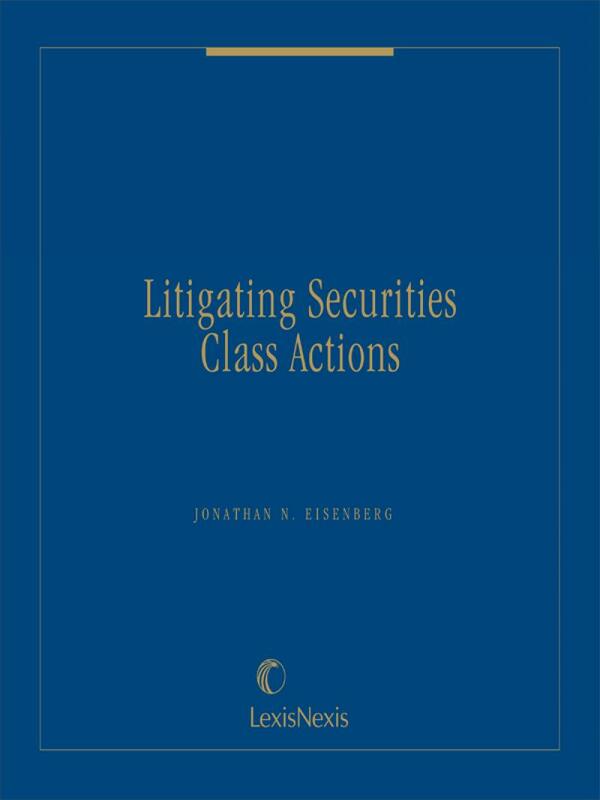 Single volume looseleaf treatise on Litigating Securities Class Actions edited by Jonathan N. Eisenberg who is former General Counsel for UBS Wealth Management Americas. 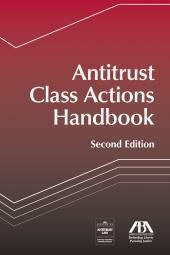 Comprising 13 chapters each separately written by a different firm in an area they are renowned for. 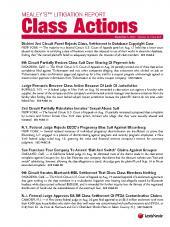 Many of the contributing authors have participated in the famous securities class actions of the last decade. Jonathan Eisenberg is the General Counsel for Rockefeller Capital Management L.P., the former General Counsel for UBS Wealth Management Americas, and the former head of capital markets litigation at Merrill Lynch & Co. He is the author of more than 60 published articles on securities issues, including “Beyond the Basics: Seventy-Five Defenses Securities Litigators Need to Know,” and was the first recipient of the “Litigation-Individual of the Year Award” presented by International Law Office.com and the Association of Corporate Counsel. He is a former chair of the Corporation, Finance and Securities Law Section of the D.C. Bar, a former Chair of the Section Chairs of the D.C. Bar, and a former co-chair of the Civil Litigation and SEC Enforcement Subcommittee of the American Bar Association.